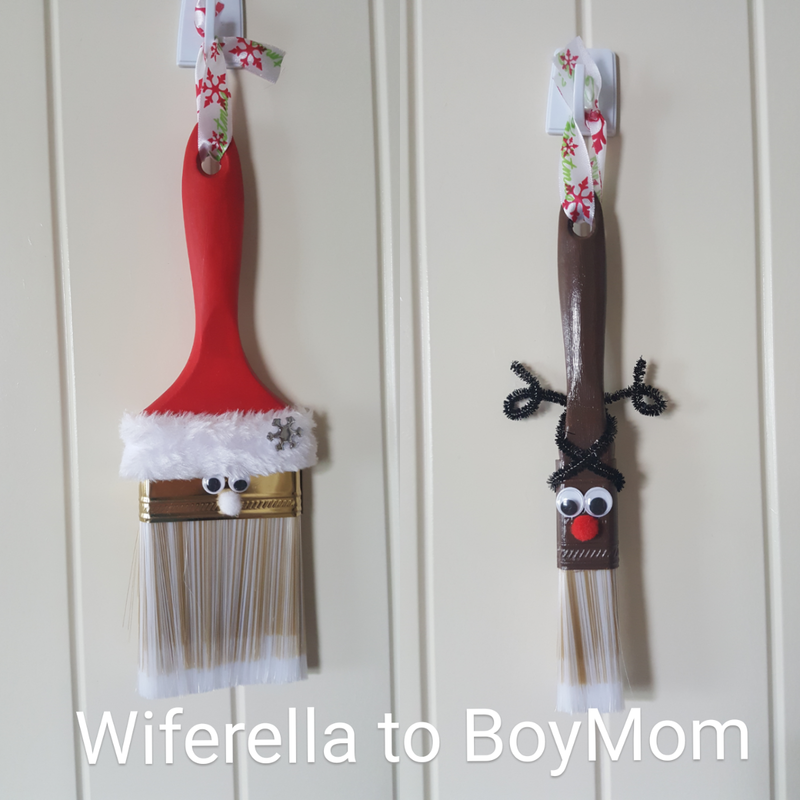 Tis' the Season, for hosting dinners, decorating and keeping kiddo's busy during the Christmas break. All of this can get a little hairy when you think about all that we take on every year, shopping, cooking and decorating can get the budget a little stretched out. I asked a few of my lovely friends and fellow bloggers if they could share with us some easy and not-so-costly ideas on how they make the holidays a little brighter. My parents were hosting a dinner party and they asked me to create a unique centerpiece. They asked me to include the colors gold and silver. I went for a forest inspired piece using "snow" covered tree branches and combining them with some winter evergreen pine branches. Added some sparkle with a statement golden star (also made of tree branches) small snow covered ornaments, and fake snow at the bottom of the centerpiece to complete the forest inspired arrangement. Make sure you use floral dry foam to keep all the elements in place. I finished the whole thing by adding acorns, branches and lights ❄️✨at the base. 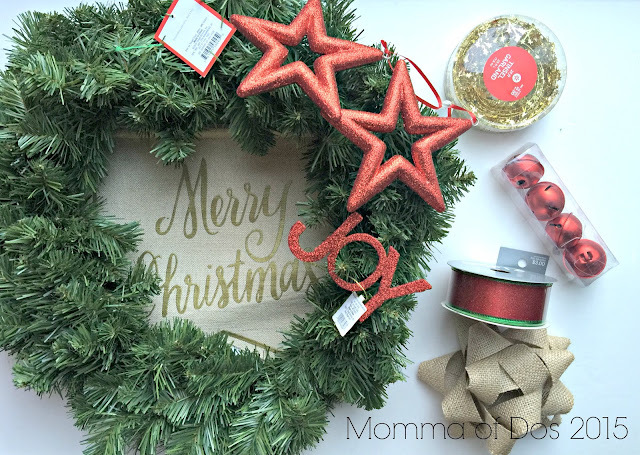 In order to create my wreath, I purchased some great Christmas decorations/ornaments and a medium size green wreath. You will need some hot glue or if you have ornaments ties or ribbon would also work. Creating the wreath is very simple and takes no time at all. You can have it done in about 30 minutes depending on how much detail you want to add. I first make a mock arrangement of my wreath and try to imagine what I want it to look like. Once I have dreamed up my perfect Christmas wreath; I start affixing the ornaments, ribbon, and bows. I purchased a pre-made bow, which is always easier, and some ribbon to tie around the entire wreath. 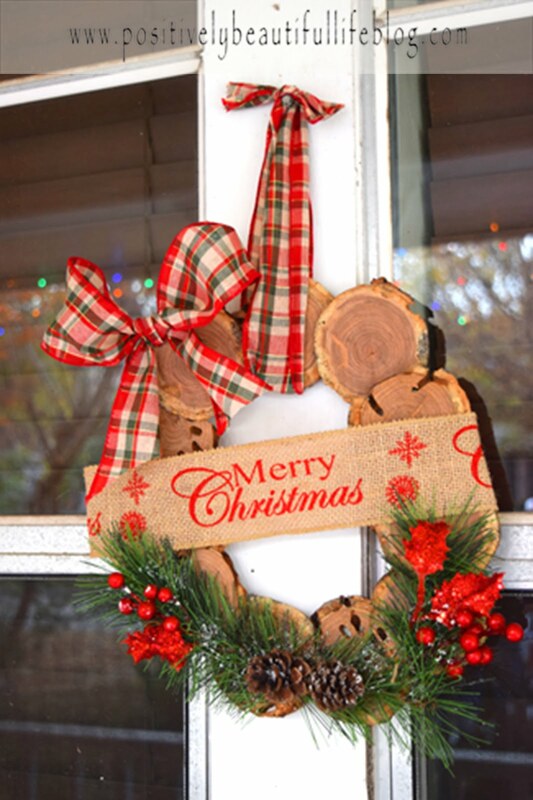 Once I have secured all the ornaments and details to my wreath with ribbon ties or hot glue; it is ready to go on my front door and welcome our guest when they arrive on Noche Buena. Paint the handle red for the Santa and brown for the Rudolph. Do about two or three coats so you won't see the original color. Once dry take your felt, and wrap a around half the gold plate and glue as you go (leave enough room for the eyes and nose. Than glue your eyes and nose. Add your own touch as I did with the silver embellishment on the corner of the felt. Once your Rudolph is done drying. Use your pipe cleaner to wrap around to make the ears. Glue your eyes and nose. You are done! The first step is to cut up the log. Then I hot-glued the pieces of wood together. The next step is to decorate it. This step is the lengthiest step because your trying different things until you think it looks good. Overall this project took my about 30-45 minutes and that’s because I couldn’t make up my mind on how to decorate the wreath. Well, having some wine might have had something to do with it. Lol! This is a cheap and easy DIY project that I would recommend anyone to do. This year I'll be hosting Christmas at my house I thought about putting together a center piece for my table but truth be told, when it's dinner time around here there is no space for a center piece! So I thought outside the box and flipped my center piece upside down. I simply took and unused wreath, spruced it up, used wire, fishing line and hot glue to add some extra ornaments. I used the wire to attache my wreath upside down on my light fixture, sometimes you might need a third hand to get this up there with out it falling on your head! Then I tied fishing line to the wreath and hung a few ornaments at different lengths.